In these photos from 2014, students from the first class of Mission Guatemala's "Becas Con Misión" scholarship program participate in a group picture and, along with their family and Mission Guatemala staff members, sign a document accepting their scholarships! 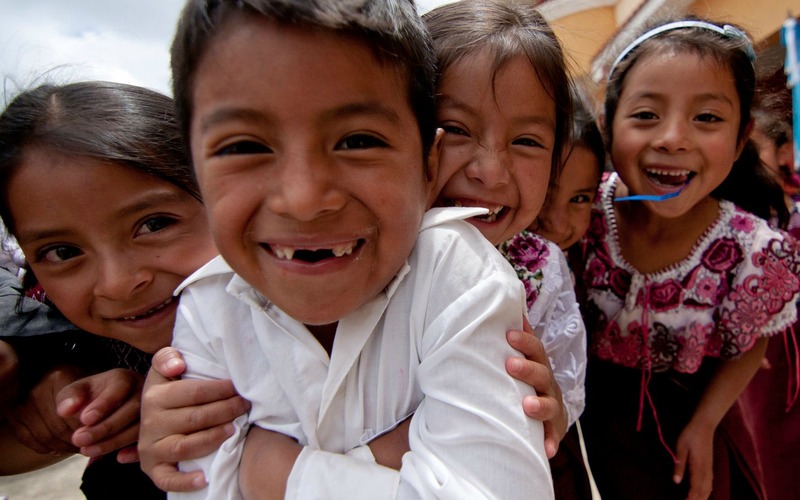 Though there are many issues and deficiencies that contribute to Guatemala's low development ranking, one area factoring heavily is the lack of infrastructure and educational opportunities available to schoolchildren. Current data shows that, in elementary school alone, nearly 1 in 4 students will drop out of school before finishing 6th grade. Beyond that, the percentage of students who will continue on to middle school and high school continues to decline even further. Since Mission Guatemala's work in San Andrés began, we have focused on addressing challenges in the area of education through school-based nutrition programs, providing thousands of meals to students throughout the San Andrés area, as well as through the establishment of projects designed to improve the local education infrastructure through the construction of classrooms, bathrooms, hand-washing sinks, kitchens, lunchrooms, and even basketball and soccer courts! While most of these initiatives have more directly benefited elementary-age schoolchildren, we have also known that finding a way to help students continue their education beyond the 6th grade would be key to impacting the educational needs of the communities. In an effort to realize this goal, in 2014, we began our "Becas Con Mision" (Scholarships with a Mission) middle school scholarship program with a small group of just 14 students. This amazing program is now close to finishing its fifth year, and has grown to include more than 60 students from 16 different communities across the San Andrés Semetebaj area. The program has also expanded to provide scholarships to high school students, as well! We are especially excited that, at the end of the current school year in October, we will have the opportunity to celebrate the graduation of the first students to have been a part of the program beginning in their 7th grade and continuing all the way to the 12th grade! The support that we have been able to provide to local schools over the past 8 years has only been possible thanks to generous Mission Guatemala supporters like you! To read more about our middle school scholarship program, or to support a student today, click the link below!